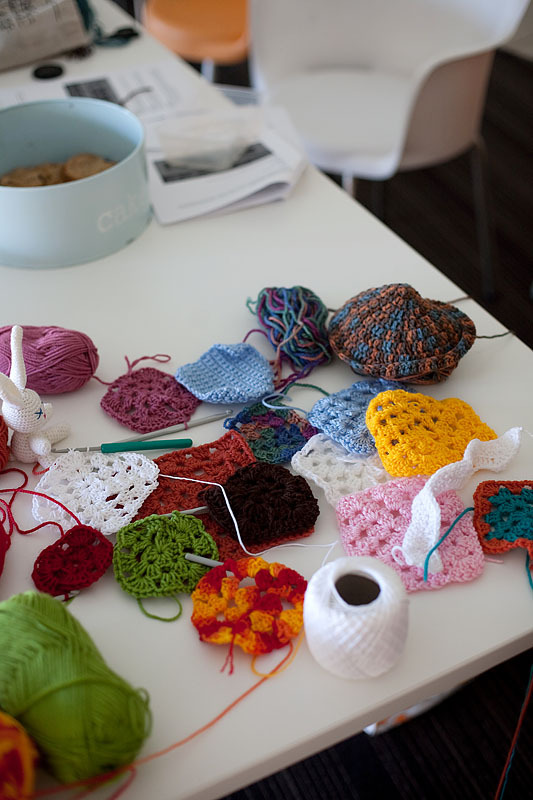 Today I went to my first Brown Owls meeting and we crocheted granny squares 😀 I used the instructions out of the Meet me at Mike’s book. 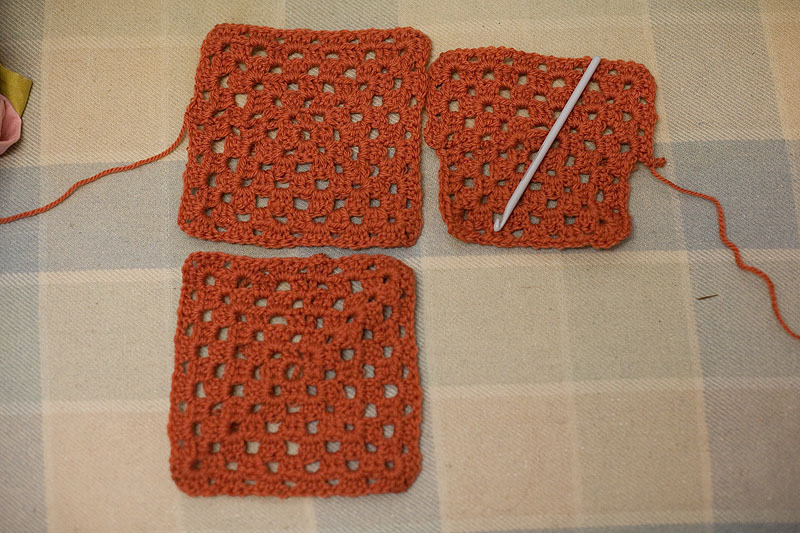 I did about 8/10 of the first square at the Brown Owls meeting today, and then did the rest whilst sitting beside Grandad’s hospital bed this evening until I ran out of yarn. I picked up the same yarn in three different colours and will need to go back and get some more. 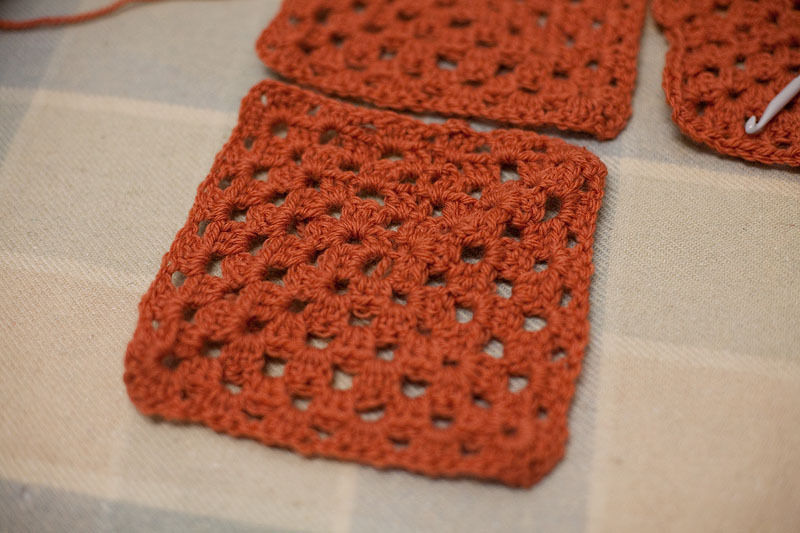 I plan on making a decent size rug out squares in the four colours. The meeting was such a fantastic experience. 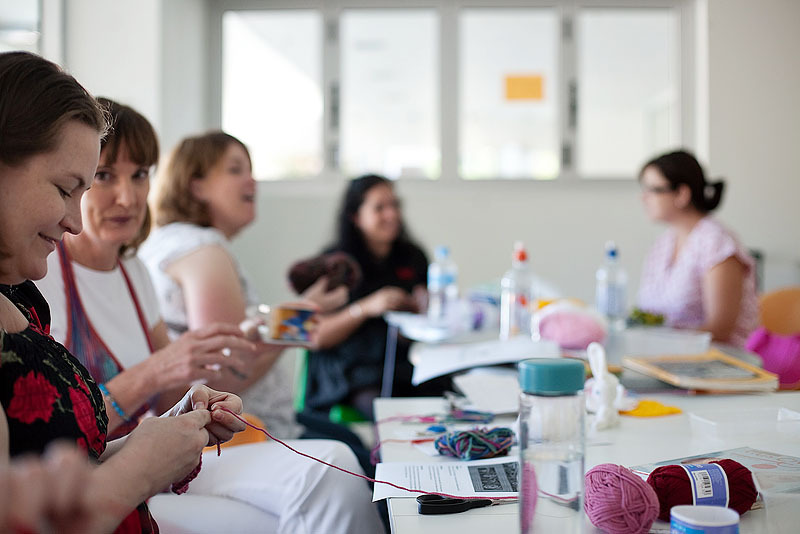 Getting to meet a whole bunch of other crafty ladies, some whom I know a little bit through reading their blogs and others for whom I knew nothing and left knowing a little more. In addition to the crafting there was some fantastic baked treats that were on offer for snacks. Grandad is doing well, they did six skin grafts on his lower legs after removing the skin cancers and they removed another two which were just stitched up. He was moved to a different ward yesterday which is much nicer than his last one. It is soo handy living as close as I do to the Wesley, I can tuck out of home and less than five minutes later I am sitting beside Grandad in his room. WOW, long time no talk – got your facey message (I’m still not totally into the whole facebook thing, but trying LOL). So I run straight to your blog link for a catch up and look at your post and let out a little happy sigh. I am in the middle of a crochet-a-thon; taught myself from a youtube clip and am making a blanket. Very simple. I could not master the granny square (grrrrrrrrrrrrr) but I also picked up a copy of Meet me at Mick’s when I was in Melbourne this week. All that time and we are practically doing the same thing!!! OK, great to “hear” from you. Now I’m going to catch up with your life by having a bit more of a read. Great to meet you yesterday! The pics are *great*. I didn’t realise you were capturing us too! And how great that you’ve progressed with the squares. Of course I haven’t touched mine since yesterday. Hello Lady Jane, Sounds like a good group to be part of. Your crocheting looks gook. Oh cool, your photos are great, maybe you can be our official photographer! Your squares look great, so lovely and neat! I second Rebecca’s idea, your photos of the day are great.